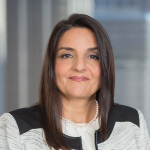 FRAMINGHAM, Mass.--(BUSINESS WIRE)--Staples, Inc. (Nasdaq: SPLS) today announced that Michelle Bottomley has been appointed Chief Marketing Officer (CMO). In this role, Bottomley will be responsible for marketing across Staples, helping to promote the company’s pivot to focusing on its North American Delivery business. She will report to Staples’ Chief Executive Officer and President Shira Goodman. Prior to joining Staples, Bottomley was Global Chief Marketing and Sales Officer at the human capital firm Mercer, where she helped significantly grow revenue through world-class branding, demand generation and data-driven digital experiences that integrated marketing and sales. Earlier in her career, she was Chief Marketing Officer for Barclaycard, one of the top five global credit card companies. Her ten-year career at Ogilvy & Mather included the significant growth of Ogilvy’s consulting organization and culminated in her role as Chief Operating Officer of Ogilvy’s flagship office in New York. Bottomley replaces former CMO Frank Bifulco, who had previously announced his intention to retire in 2017, after three years leading Staples’ marketing organization and helping to launch the recent “It’s Pro Time” campaign.